These days it's not just about column inches or advertising in the media either - every business must also carefully manage their representation on-line and within social media. We have experience in public relations and marketing, devising and implementing campaigns for organisations in the private and public sectors. We work across the UK and Europe, always aware that effective marketing and public relations is about strong working relationships with our clients and the media. Your approach in the PR world - strong content, connecting the dots and fun to work with is a rare quality. Public relations will boost a short-term project or support your business over a longer period. If you want a consistent PR service to widen awareness of your business and improve your reputation, we can devise and implement an integrated PR campaign. Alternatively, if you want a simple press release delivery service to meet your needs, we can help here too. Working with journalists, engaging with them properly, understanding their requirements and respecting deadlines reaps rewards. We get to know the journalists in your sector and work with them, maximising coverage for your business. Well-written copy is essential to the presentation of your business: It's how people perceive you. Press releases, newsletters, printed or on-line, case studies, marketing materials, website and social media content will help get your message across to your target market. Planning for a crisis rather than reacting to it minimises the damage to a business. We'll help you prepare a strategy for just such an event, and we'll be there to hold your hand and deal with the media if things go wrong. Good community relations will help your business raise and maintain its public profile. Often undervalued, community relations can have a big impact on your business's reputation. PR and marketing showcase your business, but you can boost this through active business development. Working alongside our clients, our team will pick up the phone to secure new business meetings for our clients. Good public relations is essential. Most businesses integrate PR into their wider marketing activities to achieve objectives. Advertising, direct mail, e-marketing, telemarketing, managing social media are all essential components of a wide-ranging marketing campaign. We integrate our work into your wider marketing strategy. Nicky provides excellent support. Press releases have been well researched, informative and punchy, and she has an excellent network of contacts in the professional and local media which has helped to secure the URC a high profile in the regeneration sector. 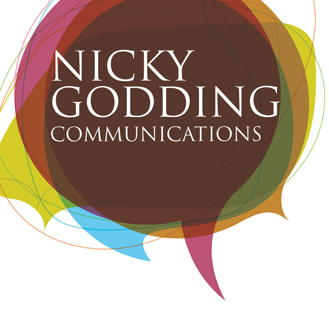 Nicky Godding is incredibly professional and extremely efficient at what she does. Her ability to go the extra mile has undoubtedly helped us on many occasions. Nicky has a natural understanding of what works and uses her initiative to ensure the flow of information is relevant and up to date. Adding a Sparkle to Arkell's Brewery's PR is what Nicky does wonderfully. Personal contact on all issues, however grand or otherwise, is never a problem. Her success rate in going from idea to media coverage is excellent. Thoroughly enjoyable to work with - long may Nicky tell the world of Arkells. Nicky's energetic professionalism combined with her skills and knowledge of the PR world has brought enormous benefits to HRML. Nicky Godding Communications is proud to have worked with the following list of clients, which represents a mixture of ongoing, retainer-based clients and fixed-term projects. This isn't quite ‘News at Ten', we can't report from board rooms and governments across the world, but we can deliver news and images from our clients - our most important concern. To read recent stories or catch up on older stories, click here. For any further information, please contact Nicky for a friendly, informal chat regarding your communications needs.